COLUMBUS, Ohio — December 21, 2015 — Scriptel® Corporation (Scriptel), a leading provider of electronic signature solutions and capacitive pen digitizing components, today announced the launch of their partner page supporting the integration of Scriptel’s signature pads with Real Vision Imaging’s (RVI) document imaging solutions. The partner page provides information on the integration’s benefits for RVI users, supported models and customer support. Based in Alexandria, Louisiana, Real Vision Imaging is an IBM Advanced Business Partner company that has designed document imaging software for the IBM System I platform since 1992, and is the sole owner, developer, and supporter of Real Vision Document Imaging Solutions. The RVI Complete system incorporates all of the elements of document imaging, including a capture system, advanced workflow capabilities, report distribution, PDF delivery, and new PC integration options as well as internet and mobile access 24/7. RVI also supports external documents, color photos, incoming faxes, emails, reports, spool file output, and audio-visual files. 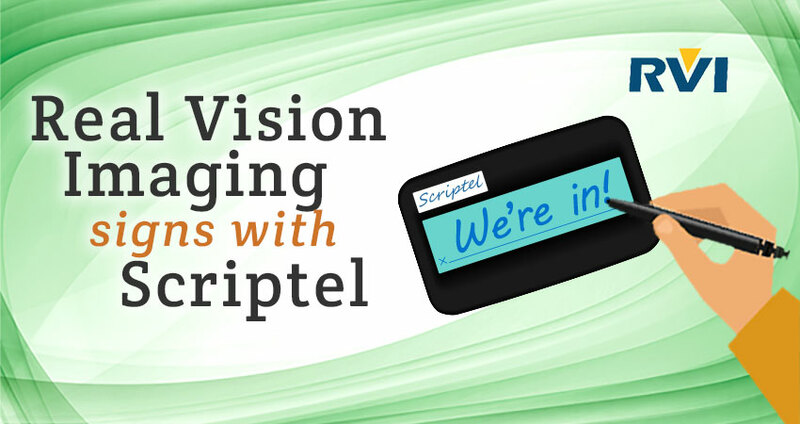 Real Vision Imaging’s solutions have been certified compatible with Scriptel signature pads featuring the ProScript interface. Compatible signature pads include the Slimline 1X5 (ST1475), Desktop 1X5 (ST1400), Desktop LCD (ST1500 or ST1500U), Compact LCD (ST1550) and Magstripe LCD (ST1525). All Scriptel signature pads are also verified as Citrix® Ready and supported in Terminal Services and other virtualization systems.